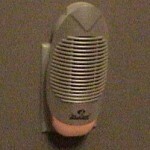 PRODUCT DESCRIPTION: Device which plugs into the wall and works to remove air borne contaminates and allergens by "charging" them with an electric charge. This charge enables the device to then collect known allergens which can be removed by washing it's SLIDE OUT COLLECTOR GRID. Other allergens will simply "fall" from the air so they are not readily available to breathe. WHERE TO USE IT: Any room inside the home which is suspected of harboring known allergens. 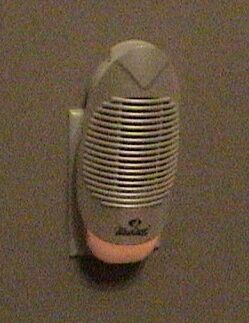 The device features two settings; one for odor control and one for allergen control. Be sure to set it to SIR for allergens. RATE OF APPLICATION: Generally one unit per room up to 800 sq/ft.